All quoted prices are final. Due to the small business status. § 19, we charge no sales tax and don’t show them in the bill. 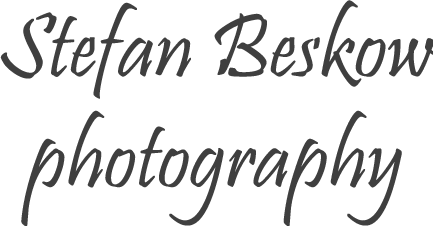 BlueWaterFascination offers underwater films and underwater stock footage clips in two different license categories (non-profit and profit license ). More under license. All underwater stock footage clips are delivered without watermark and music and are available as Quick Time or MP4 format. HD material is delivered in 1920×1080 and 4K Ultra HD in 3840×2160. – All our underwater films can be downloaded for personal use from our VOD page on Vimeo. See prices on website. All underwater films come with royalty-free music from “Footage firm, Inc”. You can purchase our underwater films from our Vimeo site. However, if you want to use our films for commercial use you have to get a royalty free license in addition to buying the film. When you license underwater footage please be aware all video recordings offered by BlueWaterFascination are copyright by German and international laws. With the purchase of our video recordings you will not own the previous mentioned shots, you only receive a license to use the videos in accordance with the license terms below. 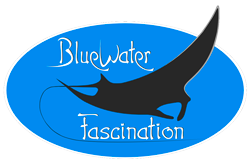 BlueWaterFascination is the author of all video recordings offered. BlueWaterFascination has the sole right to exploit the recordings. BlueWaterFascination perceives as author all use and exploitation rights itself. For this reason, there are no additional fees or licensing costs when you license underwater footage from us. Upon full payment of the one-time license fee you get as a customer of BlueWaterFascination the right to use the video recording. This license is not transferable to third parties. With the simple, non-transferable right to use our footage you don’t receive any exploitation or property rights. You can use the recordings only within the chosen license category. All Media, Worldwide, Perpetuity Use Rights (formerly called Limited Use Rights or Broadcast Use Rights). The purchaser license underwater footage may use the materials in all media, including documentaries, entertainment, commercial advertising, publishing, and other media (both broadcast and non-broadcast), worldwide, as they see fit and as often as they like without incurring royalties or additional fees. The purchaser may not resell or redistribute the materials. The rights are non-transferable (however, end-clients such as broadcast companies may use the footage as part of productions produced by the purchaser of the footage). The purchaser (and their end-clients should the purchaser be a production company) shall be the sole user of the material under the purchase and may not share the materials with others without the written approval of Bluewaterfascination. The rights to the materials are non-exclusive. Bluewaterfascination reserves the right to sell the material to others and/or to use the material in products produced by Bluewaterfascination. Acquired on the basis of the applicable license underwater footage agreement video recordings can be used for all media such as Internet, TV’s and projection screens. Excluded use for all license groups Any kind of disclosure, copying and sale of the acquired images is excluded. The supplied video material may be included in own productions, depending on the license purchased. The customer may not represent itself as the author in the process. The integration of video recordings, in direct commercial competitors is not permitted. This license allows you to show our underwater films in public places like dive centers, health sector, restaurants, events, exhibitions… on multiple monitors. For other applications like TV and media please contact us for the according rate. In addition to the license the actual film has to be purchased from our Vimeo VOD site, the prices are shown on the site. Our underwater films can also be downloaded for private viewing. Any kind of disclosure, copying and sale of the acquired images is excluded. The supplied video material may be included in own productions. The customer may not represent itself as the author in the process. The integration of video recordings, in direct commercial competition is not permitted. Even if you license underwater footage from us the right to use the video recording for integration into a website is only allowed if the video recordings is excluded by a third party, and the website is owned by the customer. Upon full payment we license underwater footage and you will receive a certificate of release. With this release document you can use the acquired video recordings. The release document will be mentioned on the invoice and is valid only with the bill. The certificate of release and the associated license is not transferable to other private or legal persons. If you have any questions about license underwater footage from us, please feel free to contact us. Durch die weitere Nutzung der Seite stimmen Sie der Verwendung von Cookies zu. Find out more.